Knee jerk, reactionary, non-replay-eligible thoughts on what will happen in Game 2 of the World Series tonight at Fenway Park. 1. Cardinals shortstop Pete Kozma will cleanly record an out in the first inning and receive one of the loudest mock cheers from the Fenway crowd in recent memory. 2. The margin of victory will be two runs. 3. John Lackey will not finish the 7th inning. 4. Lackey’s average fastball velocity over the first three innings will be 94 mph. 5. During the team’s first turn through the order, three Red Sox batters will swing at the first pitch. 6. Shane Victorino will bat right-handed and left-handed before the night is over. 7. 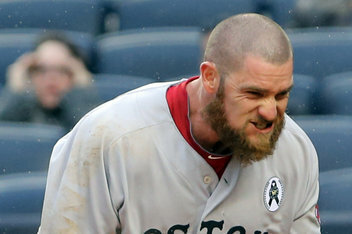 Jonny Gomes will strike out multiple times against Michael Wacha. Specific forecasts for this afternoon’s ballgame. 1. 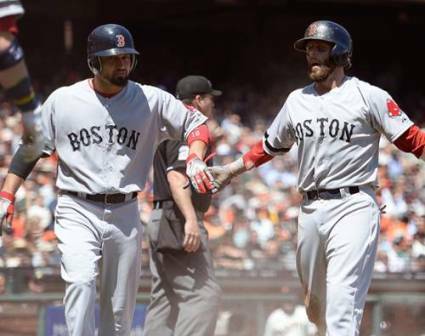 Shane Victorino will get hit by a pitch WELL outside the strike zone. But it will happen at a point in the game when it is clear that it was accidental. 2. Building on the previous thought, warnings will be issued to both dugouts by the home plate umpire at some point in the first three innings of this game. 3. Miguel Cabrera will hit a solo home run in the fifth inning to right field. 4. John Lackey will hit 95 mph on the radar gun multiple times during the 6th inning. 5. 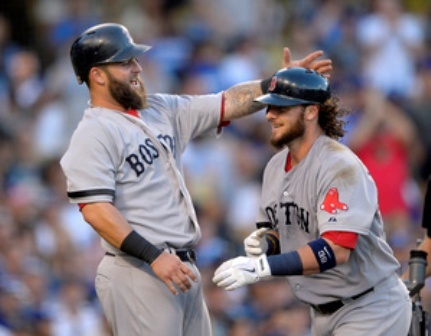 Jonny Gomes and Mike Napoli will combine for six strikeouts. 6. Stephen Drew will hit a triple. 7. Justin Verlander will NOT post double-digit strikeouts. Anyone taking the over 7.5 strikeouts line being thrown around Vegas and Bovada.lv will still be sweating their wager in the 7th inning. 8. First-pitch strikes will rule the day for both Lackey and Justin Verlander, resulting in a ballgame clocking in under three hours. By and large, the 2013 Boston Red Sox have been pretty lucky in terms of games missed due to injury. Disabled list stints have been relatively limited compared to the myriad ailments the team dealt with during much of the 2010 and 2011 seasons. Freak injuries, though, are a storied part of nearly every baseball team’s past. In fact, Clay Buchholz’s AC joint ailment is hardly the first time a Boston pitcher has supposedly suffered an injury in a bedroom. Anyway, it may be useful for the Red Sox to be mindful of the potential for these types of injuries in the future. For instance, any of the scenarios described below could easily sneak up at any given time and derail a promising 2013 campaign. 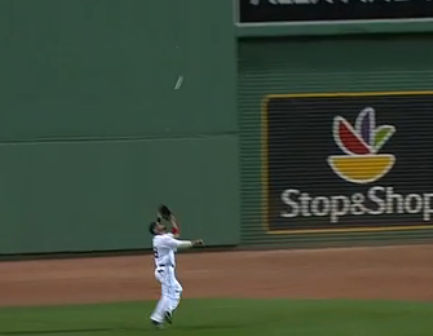 Mike Napoli: A pop up is lofted into right-field foul territory at Fenway, directly over Canvas Alley. 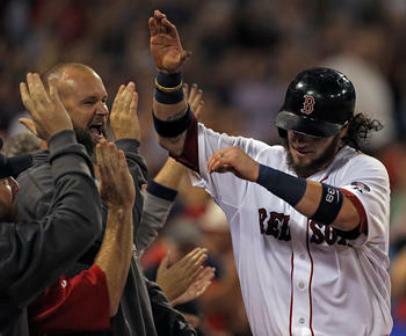 First baseman Napoli assumes he can sell out and goes after it headfirst because it looks as though the natural cushioning provided by NESN reporter Jenny Dell’s amply-sized breasts will catch his fall. 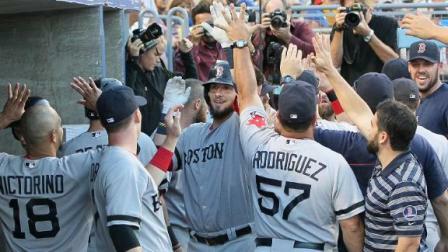 However, the NESN reporter’s bosoms wind up dealing Napoli a boulder-like blow to the skull and he suffers a concussion. 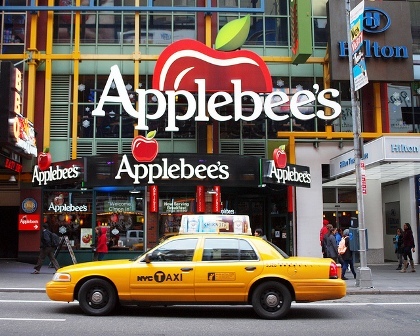 Jackie Bradley, Jr.: Pumped up about his recent promotion back to the big club, Bradley once again visits the Applebee’s in Times Square prior to the finale of Boston’s three-game set at Yankee Stadium on Sunday. Good ol’ standby, “intestinal turmoil,” lands poor JBJ on the 15-day DL and he is asked to take a separate plane back to Logan. Stephen Drew: A witch sneaks into Stephen’s hotel room in the middle of the night and swaps his spinal column with that of his older brother, J.D., which recent MRIs have indicated is comparable to an 85-year-old. 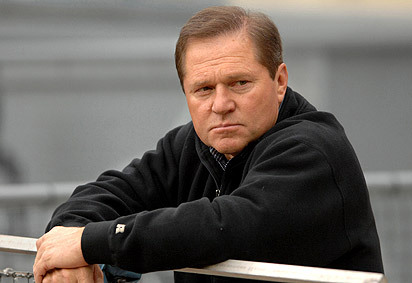 Jacoby Ellsbury: After going 5-for-5 with a pair of homers and three stolen bases against Houston in August, Scott Boras sends in some cronies to kidnap Ellsbury so that he ends his season on an positive note heading into unrestricted free agency. The ransom price is set high enough that the Red Sox can’t afford it without exceeding the luxury tax threshold for the year. Ellsbury is forced to laminate all 300 pages in his Boras Binder while holed up in a small cage somewhere in Mexico. Alfredo Aceves: An enterprising blogger creates a GIF animation overlaying replays of all 1,746 pitches thrown by Aceves throughout the first half of the season leading up to the All-Star break. Alfredo becomes so mesmerized by the animation that he cannot stop watching it. He becomes convinced that he has the ability to recreate a moment in which he actually throws all of his pitches at the same time. The project quickly proves a massive failure and Aceves retires from the sport. 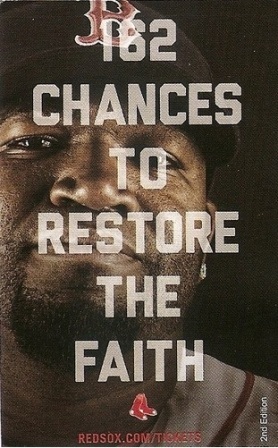 David Ortiz: Due to a bookkeeping error, Major League Baseball tests Big Papi for PEDs a record 15 times over the course of three days and Ortiz is eventually so depleted of blood and vital nutrients that he is checked into Mass General. Boston Globe columnist Dan Shaughnessy waits patiently at Papi’s bedside to ask the tough questions. 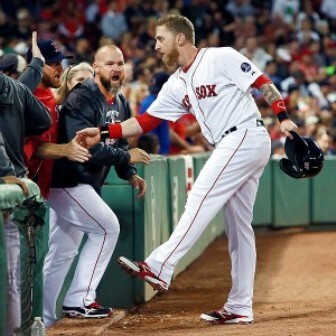 Jonny Gomes: Sporting a shaved head and beard almost identical to Mike Napoli’s, Gomes wakes up one morning and becomes confused as to his true identity. The Red Sox roll with the whole thing for a while, but with Gomes sporting a sub-.200 OBP well into June, Boston decides to place him on the disabled list with avascular necrosis (the condition Napoli was diagnosed with this past winter). 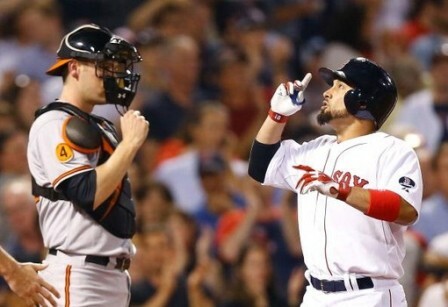 Gomes doesn’t complain.